The Phillies on Friday announced that they’ve officially signed free-agent right-hander Tommy Hunter to a two-year contract. The Moye Sports Associates client will reportedly be guaranteed $18MM on the contract, with a $6MM signing bonus and successive $6MM salaries. Hunter joins Pat Neshek as the Phillies’ second big bullpen signing and fourth notable transaction of the week, as the Phils also traded Freddy Galvis to the Padres earlier today and reportedly agreed to a three-year deal with first baseman Carlos Santana as well. 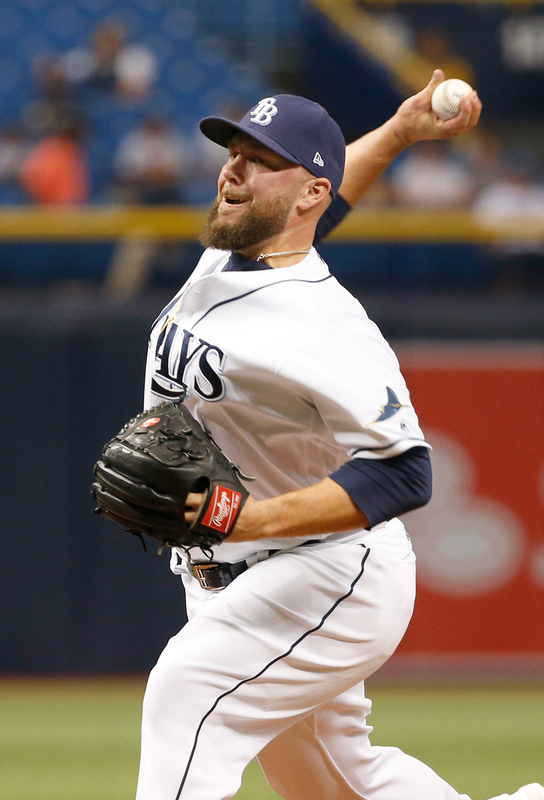 After an injury-shortened 2016 season, Hunter had to settle for signing a minor league deal with the Rays last winter, though he revived his value with a strong performance. Hunter posted a 2.61 ERA, 4.57 K/BB rate and 9.82 K/9 over 58 2/3 frames out of the Tampa bullpen. That K/9 was a career-best for Hunter, who had never been much of a strikeout pitcher over his career despite a fastball that has averaged better than 96 mph in four of the last five seasons. Both Neshek and Hunter received two-year guarantee from the Phils, meaning the two veterans will provide sturdy setup depth behind young closer Hector Neris, for the foreseeable future. While the Phillies short-term acquisitions in prior seasons (e.g. Jeremy Hellickson, Joaquin Benoit, Neshek) have often emerged as trade candidates, their multi-year commitments to Hunter, Neshek and Santana suggest that the Phils will instead begin operating with an eye on fielding a more competitive roster. That goal, undoubtedly, was hastened by the emergence of slugger Rhys Hoskins and steps forward from the likes of Aaron Altherr, Nick Williams and Aaron Nola this past season. The Phils also have J.P. Crawford, Scott Kingery and Jorge Alfaro all on the cusp of significant big league readiness. The addition of Hunter and Neshek should help to shore up what was a questionable bullpen, though the Phils certainly have space for further additions should GM Matt Klentak, president Andy MacPhail and the rest of the front office see fit. It also stands to reason that the Phillies could look to add some veteran innings to their rotation as the team sets its sights on transitioning from rebuilding club to contender over the next two seasons. Matt Gelb of the Philadelphia Inquirer reported the two sides were progressing toward a deal (via Twitter). FanRag Sports’ Jon Heyman first reported the agreement. Joel Sherman of the New York Post reported that it was a two-year pact (via Twitter). Ken Rosenthal of The Athletic tweeted the financial range, while Heyman tweeted the final details. just read a report from Marc topkin that he had either agreed with the Astros or Dodgers. must be the season of misinformation. You think 3/33 gets Reed back on the Mets? Yea you get him for that, but the Mets are just cheap, it is sad how they won’t spend. VV, Neris, Neshek, Ramos, Hunter, Garcia, Milner and Morgan…. Full seasons from Alfaro, Williams, Altherr, JPC and Hoskins over Rupp, Joseph, Saunders, Kim and Galvis should really help. If he’s decent they’ll flip him for prospects at the deadline. More rebuilding teams should do this IMO. Not true, they are in a position to easily absorb entire contracts. Ya with all these signings I’m beginning to think that’s their plan. Pretty slick way to add to your farm if you’ve got the excess cash. I wonder how much profit they are banking right now with their payroll being so low. Maybe we can get RT interested in covering sports here in the US so we can find out how much profit the Phillies made? The corporate media here is a paid tool of the team owners and will never tell us. That’s why media outlet after media outlet is going out of business because it’s all Fake News Wall Street propaganda. The Phillies were the most profitable MLB team in 2017 but hard figures aren’t available. They’re in a weird spot. Decent amount of young talent about to reach majors or already have made it. Not sure they have enough quality bats or quality arms to really make headway. Even upon nearly completing a rebuild, they’re still an 80 win team at best. That’ll change if they bring in a Machado or Harper and figure out the rotation. Their current goals seem to be future trade deadline bait via free agency and move a few guys entering arbitration for prospects. 2018-2019 off season, they’ll be favorites to be big spenders. Drop the “or”. The Phillies easily have the money for both. Re: closer than their record or buying half a team…. I think it’s a little bit of both. Towards the end of 2017, there were some positive signs that things were trending towards becoming competitive. After the break, and then the trade deadline, they finally let some of the youngsters play everyday. Hoskins could be the foundation of the offense. Nola seemed to return to form after injury and was a pretty nice under-the-radar starter. Perhaps he could be the foundation of the rotation . They actually won 19 of their last 34 games (.559). 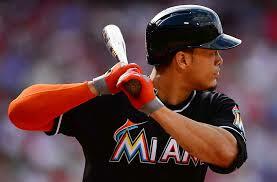 However, they also lost 36 of 57 one-run games throughout the course of the season. The bullpen was pretty horrendous. So, beefing up the pen with a few vets like Neshak and Hunter isn’t too crazy. Both guys are coming in on *relatively* reasonable two year deals (considering the craziness of the market for relievers, at least): Hunter for around $18M/2 and Neshak for something like $16.25/2). Money isn’t an issue for the Phils. They have tons, have a history of spending if/when the team is poised to contend, and have virtually no commitments other to these two signings (plus Odubel Herrera on a super team-friendly deal). If things go well and the Phils jump up the learning curve, Neshak and Hunter could help stabilize the bullpen for a frisky young squad. If the rebuild appears stalled, or at least not as far along as hoped, they have two potential trade chips. And if the 2018 season falls somewhere in between huge success and abject failure, as is the most likely case, the Phils could use a bit of both approaches. They could afford to be selective listeners at the deadline and make decisions that look towards both the present and the future. I’d hope they are done trying to flip players since they haven’t flipped one for a meaningful prospect the last two years. The best guy they got they didn’t even protect from the Rule 5 draft. Phillies shoring up there bullpen, good move. Hopefully there’s a weight clause like they used to do with David Wells’ contracts. 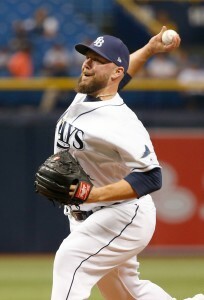 He can pitch, but Tommy Hunter is one fat tub of lard. I mean that in a loving and supportive manner. Have you seen this club’s manager? Ain’t gonna be no David Wells-types ’round these parts. Ever since he converted to a reliever he’s had a 3.41 FIP and a 3.12 ERA in 300 IP – that’s really good. Hunter is really underrated. There are some that say FIP doesn’t apply well to relief pitchers. And still others say that FIP sounds kind of like FAP. I hope they sign someone like a Lance Lynn or Alex Cobb then move Vinny V to the pen. Maybe the very back end of the pen. Vinny V is on the shelf until 2019. You missed the injury memo. Not sure where you get your info… The last injury report for him is from August regarding the vascular issue. They activated him from the 60 day DL to put rosters in order and the article says he’ll be ready for ST. Maybe you missed the memo? He makes up his info as he goes. Still would like to see them sign Reed. Would give them a deep(er) bullpen. Seven of your eight relievers are right handed. With an eight man bullpen you should have three lefties. Caseys Partner can add Kershaw to his certain signees along with Harper and Machado. Alright, now let’s get some leads to protect, men! Ha. I can’t say I am not pleased at the level of activity. Let’s get a veteran starter to steady the young core and provide experience. Oh and a corner outfielder. First Santana, Now Hunter?! This changes everything !